To enrich the cultural life of our community through the pursuit of artistic excellence in choral music performance.  The Smith River Singers is a group of talented, passionate, committed, non-auditioned volunteer singers from the Martinsville Henry County area. Our repertoire consists of a wide variety of choral music ranging from classical to contemporary genres, including both sacred and secular works. We rehearse weekly from late August to early December and late January to early May, preparing two sets of music each year. Fall rehearsals focus primarily on music for the winter holiday season, and spring rehearsals include music with a much wider range of themes. 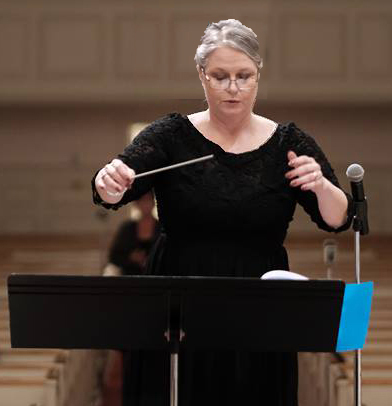 We perform under the direction of Dr. Pamela Randall, with accompaniment by Beth Chapman. Other guest instrumental musicians may be included in the main concert. Requirements for membership include the ability to vocally match pitch, attend rehearsals regularly, attend performances in the requested attire, and work on the music outside of rehearsals. In addition, dues are requested to help cover music and other expenses. SRS was founded in 2014 with around twenty singers and has grown to around seventy-five (as of 2019). Help us by becoming a sponsor. Click here to make a donation online. Dr. Pamela Randall is a conductor, singer, author, gardener, quilter and professor at Longwood University. Pam currently serves as Program Director of Liberal Studies through Longwood University in elementary and middle school education licensure at New College Institute. She received her Bachelor’s degree from Glenville State University, Master’s in Curriculum and Instruction from Radford University, ED.S. in Administration from UVA, and completed her Doctorate in Leadership from Liberty University. Pam studied choral conducting under Dr. Axel Theimer professor the College of Saint Benedict/Saint University in Minnesota. She holds credentials in Kodály and Orff Schulwerk instruction for K-12. The K-12 choirs she has conducted have won numerous awards and have performed internationally and at Carnegie Hall under the direction of John Rutter. Beth Chapman, a native of the area, holds a Bachelor’s of Science Degree from Averett University in Business Administration: Accounting. Her music education has been earned through community and church involvement. She has worked along side her husband, Bob – an ordained Minister of Music – for the past 30 years until his recent retirement. For 13 years, she served as the local musical director for the Richmond Ballet’s in-school program, Minds In Motion, until it was discontinued in our area. 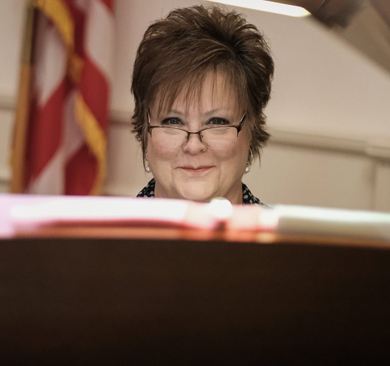 In addition to accompanying the Smith River Singers, she is the Chancel Choir Accompanist at First United Methodist-Martinsville. an affiliate of Piedmont Arts Association.